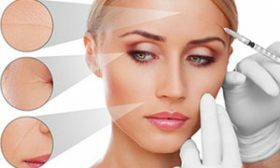 Dr. Goulko, a Member of the American Academy of Dermatology, the American Society of Laser Medicine and Surgery, the International Society of Cryosurgery and International academy of Cosmetic Dermatology is a dermatologist, in Fort Lee NJ. Dr. Goulko has an extensive medical background and training in Europe and the USA, specializing in the treatment of multiple skin conditions such as acne, rosacea, sun damage lesions, as well as a variety of cosmetic procedures like BOTOX® injections, fillers, and lasers. According to Dr. Goulko, dermatologist in Fort Lee NJ, in Bergen County, reminds us that while we enjoy the beautiful spring weather, we should not forget about the damage the sun can cause to our skin and hair. Taking care of your skin will not take too much time, but the results will be worthy. Dr. Goulko, dermatologist in Bergen County, near Hudson County, gives us some tips to preserve skin, lips and hair during spring weather. It is important to remember applying minimum SPF 30 to your face, neck and any other uncovered body part to prevent sun damage. Use foaming gel and oil-free lotions instead of rich cleansers and heavy cream to reduced the effect of oily skin. Lighter formulas of make- up, such as tinted moisturizer or bronzing gel can be used instead of thick foundations to avoid clogged pores. At Dermatology and Laser Surgery Center in Fort Lee, NJ experienced estheticians and nurses can advise a customized skin care routine for your skin type. Treat your face and body skin with oil (Argan or coconut) or deep moisturizing lotion twice a week or after sunbathing for proper nourishing. Regular dermatology visits can help to diagnose and prevent skin disorders and find the treatment that is right for you. Dr. Olga Goulko sees patients 5 days a week for dermatology visits in her Bergen County location. It’s advisable to use light lipstick or lip-gloss with SPF to protect the sensitive skin of your lips. Avoiding caffeine, black tea or cigarettes can help you to keep your lips healthier and lighter. Lip skin, just like your face and body skin, requires weekly exfoliation—you can use exfoliating lipstick or create a mix using honey and sugar. Springtime is great for taking a break from your blow-dryer and letting your hair air-dry. Using clarifying shampoo at least once or twice a week will help add volume to your hair. Using deep hydrating masks and leave-in-conditioners once a week can repair hair from sun damage. If you are big fan of flat irons and blow dryers—don’t forget to apply anti-frizz serum on the roots to avoid split ends and breakage. For thin and flat hair it is recommended to avoid hair conditioner. Dr. Goulko also reminds us to drink plenty of water to keep your skin and hair hydrated. Do weather changes or stress make your acne worse? Would like to smooth those wrinkles or just exfoliate your skin? Tired of shaving your legs every day? Don’t get discouraged. We can help. Please call Dr. Goulko, dermatologist in Bergen County, and schedule appointment to discuss your skin condition. We offer wide variety of Medical and Cosmetic Dermatology services, such as revolutionary acne treatments, facials, BOTOX®, Juvéderm, laser hair removal and many others.